Drew and Natasha bake pies so good our customers buy 3-4-5 at a time. Strawberry, Blueberry, Pecan – Fresh sweet strawberries, ripe local blueberries, crunchy southern pecans and a crust so good you’ll dream about it! MMM, MMM, MMM GOOD! 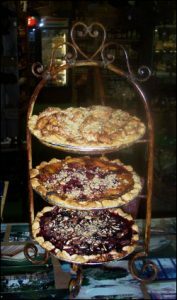 We were voted Best Pies by the Hudson Valley Magazine. 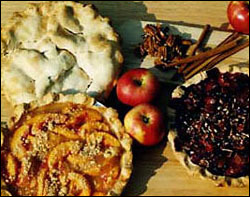 We bake our pies daily using fresh ingredients and no preservatives. We have many different pies baked every day. Please call ahead and we will be happy to bake your favorite.